As I walked across the bluegrass pastures on my grandfather's farm in Jessamine County, Kentucky, I would often find old horseshoes of all sizes. During one such walk in October 1994, I was inspired to create a bottle rack that would hold bottles of wine (with a slight tilt, to keep the cork moist). 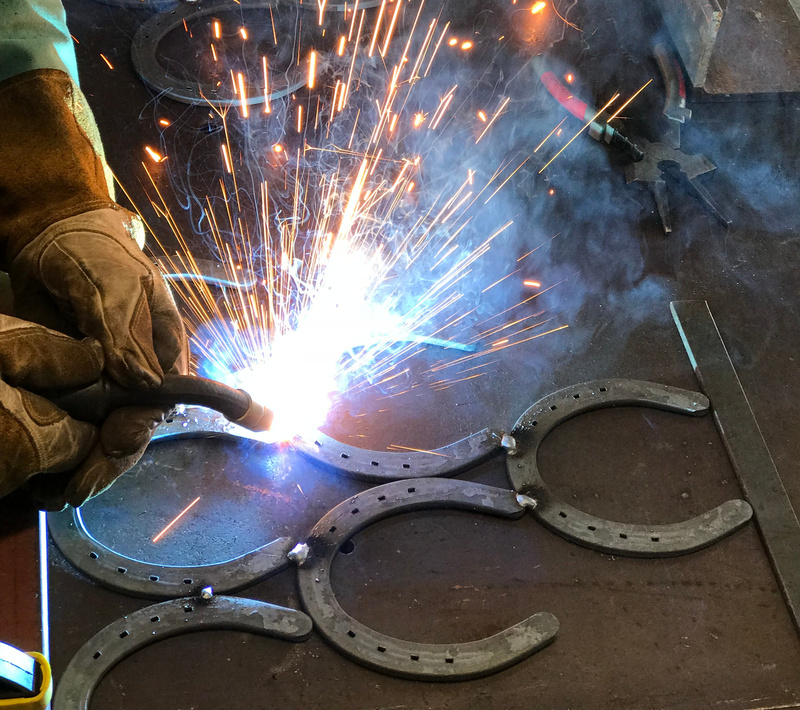 I collected every horseshoe I found around the farm, and after a few sketches I began welding the horseshoes together. Today our Authentic Horseshoe Wine Racks are individually made, engraved, and distinctively packaged in boxes of fine bedding straw. We can custom-make our wine racks to your specifications. Personalized with names or a short message, these lucky horseshoe wineracks make great wedding gifts and housewarming gifts. We're available for consultation if you'd like to discuss built-in designs or other wine rack ideas you have. I'd like to personally thank you for your interest in our Authentic Horseshoe Wine Rack. Please e-mail us if you'd like more information about our personalized gifts. Each piece is hand made! We can custom-make our wine racks to your specifications, and we're available for consultation if you'd like to discuss built-in designs or other wine rack ideas you have.